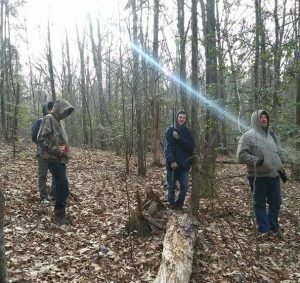 Our Columbia, SC Chapter kicked off the 2018 year with their annual squirrel hunt. 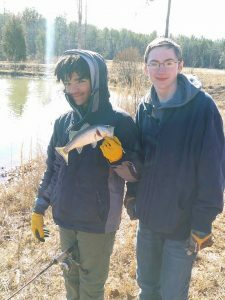 It was a COLD program, but the boys and mentors had a great time in God’s outdoors. The program started Friday evening at our camp facility located on Program Director Rick Hall and his wife Kim’s property. 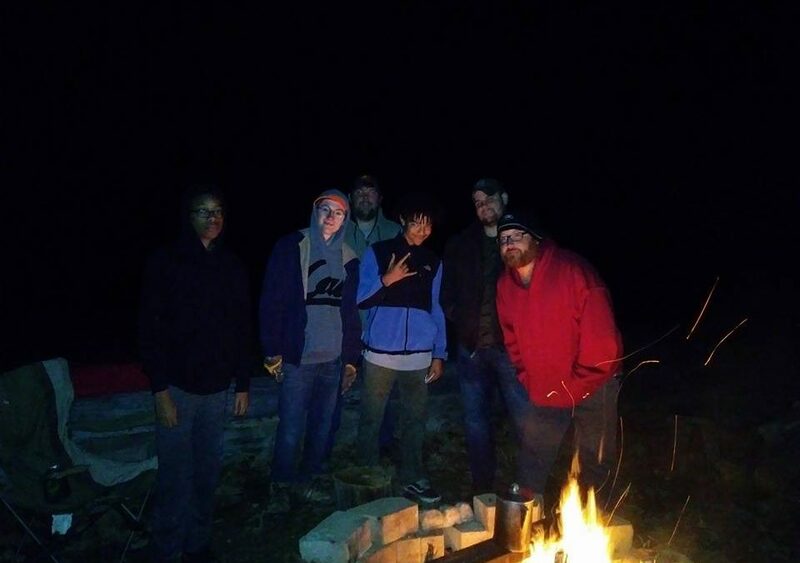 The boys and mentors grabbed some dinner and built a bonfire Friday evening. Since the temperature was dropping rapidly- no one got very far from the bonfire. This did however allow for some good man time between the boys and mentors. After the fire got dim we all got settled in for some shut-eye. Doubled up on sleeping bags and blankets we turned in for the night. Not much actual sleep but a cold night we will not soon forget! Saturday morning came early and sleepy eyed we got up, got as warm as we could, and grabbed a pancake breakfast. Mentor Lanny Gunter provided some squirrel dogs to assist in in our squirrel hunt and we headed out. It became very apparent that the squirrels were cold too and were not coming out to play. We covered the property with dogs back and forth, but it was not meant to be. So we decided to try our marksmanship shooting pine cones and whatever we could to pass the time and have a little fun. Lunch time came and we enjoyed a great lunch and got warm. Mentor Matt Hellman lead a great devotional on taming the tongue and what the bible says about being careful on your words and conversations you have with others. After lunch and our devotional time, since the squirrels were not moving, we tried our hand at fishing. The fish were biting! All the boys caught one or two, But Neko caught the most with 6 bass. It was a great way to wrap up a great program to kick off 2018. Please continue to keep our programs, mentors, and boys in your prayers. If you know of a fatherless young man in the NE Columbia area that could benefit from our programs please get in touch with Program Director Rick Hall by visiting our Chapter Page above. You can check out all the pictures by using the link below.